Mullan Training is a Northern Ireland based Computer Training Provider and has been providing high quality training to the public and private sectors for over 15 years. Mullan Technology specialise in customised systems that support our clients’ business requirements and objectives – creating both desktop & web based database applications. Omagh IT Training details IT courses being held in the Omagh Enterprise Centre for those in Omagh and the surrounding area to avail of Mullan Training’s years of computer training experience. With course dates and times, as well as contact details, you will be able to enhance your IT skills without going too far! Adobe Training NI is a dedicated site to Mullan Training’s Adobe Macromedia Courses that will help novices and experts alike hone their skills in these industry-standard programs. Project Training NI provides you with information on Mullan Training’s expert courses in the Microsoft Project, together with dates and contact details. It’s got all you need to help you organise a Microsoft Project training course in Belfast, or indeed your own premises. The Mullan Property website contains additional images, a description of the facilities, rental rates & Google Location Maps of the apartments and houses we have available for rental. Mullan Files is an attractive and useful site that provides you with information on Mullan Property‘s various apartments and houses, along with videos of the self catering accommodation in Belfast and Ballycastle. Access Training NI provides you with information on Microsoft Access courses in Belfast City Centre so that you can utilise your database more efficiently. 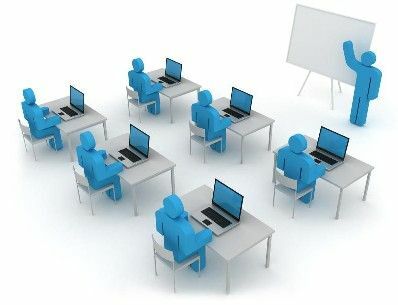 The site provides information on training course dates and times, as well as contact details. Office 2007 Training NI is a website dedicated to improving your skills in the latest Microsoft Office edition, so that you are not left behind! We deliver high quality Sage training in your own premises or in our Belfast City Centre training suites (based opposite Europa Hotel). ICT Training Room Hire Belfast has been providing corporate ICT training facilities in Belfast to the public and private sectors for over 17 years, and offer flexible & competitive packages.Our ICT Training Rooms are specifically designed for delivering computer training courses, with high spec PCs, printers, ergonomic chairs, etc.Our ICT Training Rooms are located in Belfast City Centre and are very easy to access by rail, bus or taxi – located just opposite Europa Hotel & the Great Victoria Bus & Train Station. Mullan Trainers have been providing corporate IT trainers & training courses in Belfast & throughout NI, England, Wales, Scotland & ROI to the public and private sectors for over 20 years.We offer flexible & comprehensive computer training packages and specialise in customised courses, offering learning solutions that support our client’s business objectives. Mullan IT Consultancy will direct you to our IT Specialists and trainers, who will be able to help you in any number of IT-related queries. At Self Catering Apartments Belfast we have an extensive knowledge of the property market and aim to provide high quality rental properties throughout Northern Ireland. If you are looking for a property to rent, either residential or commercial, then please do not hesitate to contact us. Follow us on Twitter for great IT tips as well as the opportunity to get some great offers on IT Training in Belfast. Follow us on Twitter for great offers on our Self Catering Apartments in Belfast and Ballycastle.